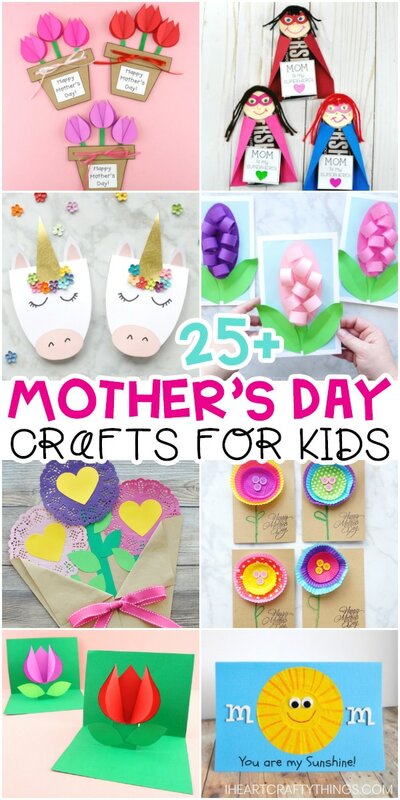 Mother's Day Crafts for Kids -The Best Crafts for Mom and Grandma! 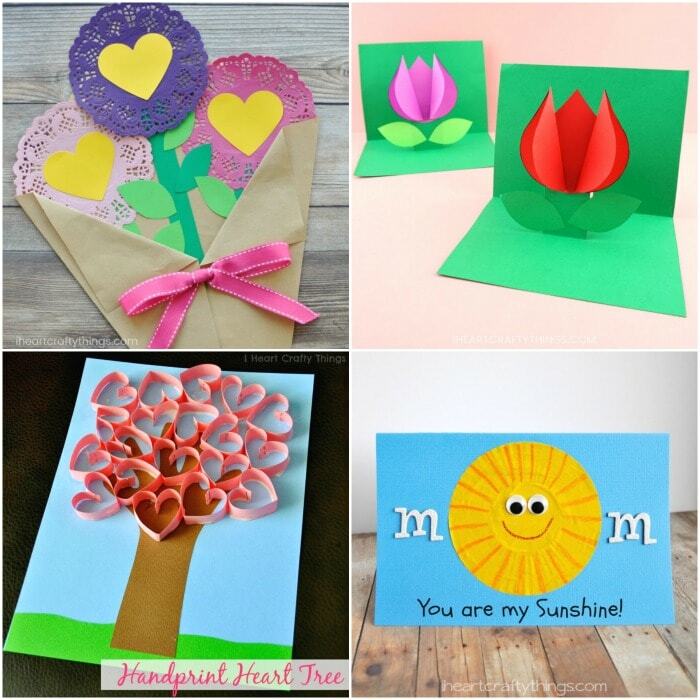 Our website is bursting with amazing Mother’s day crafts for kids to make for mom or grandma– from simple and easy craft ideas for toddlers and preschoolers to create to more advanced art projects for older kids to enjoy making! 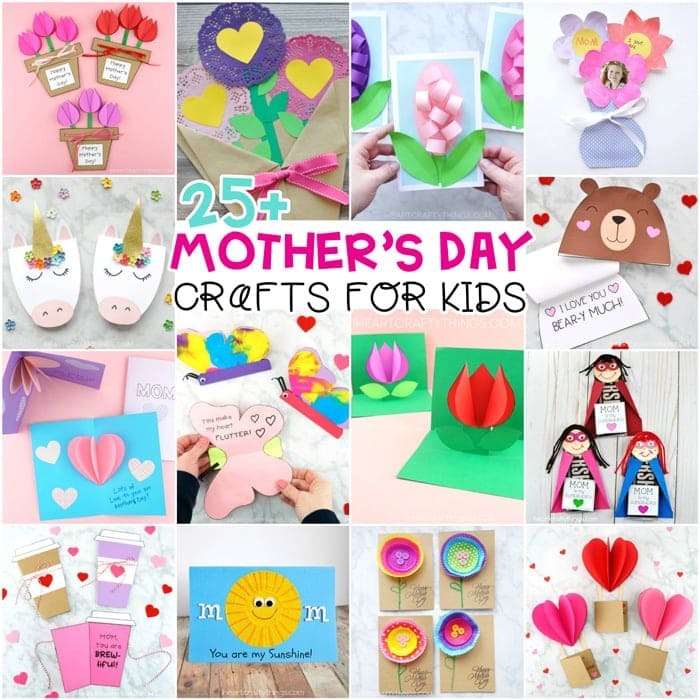 When you think of Mother’s Day crafts you typically think of flower crafts, and we have plenty to share with you today, but we also have some lovely Mother’s Day card ideas and gift ideas mom will love! 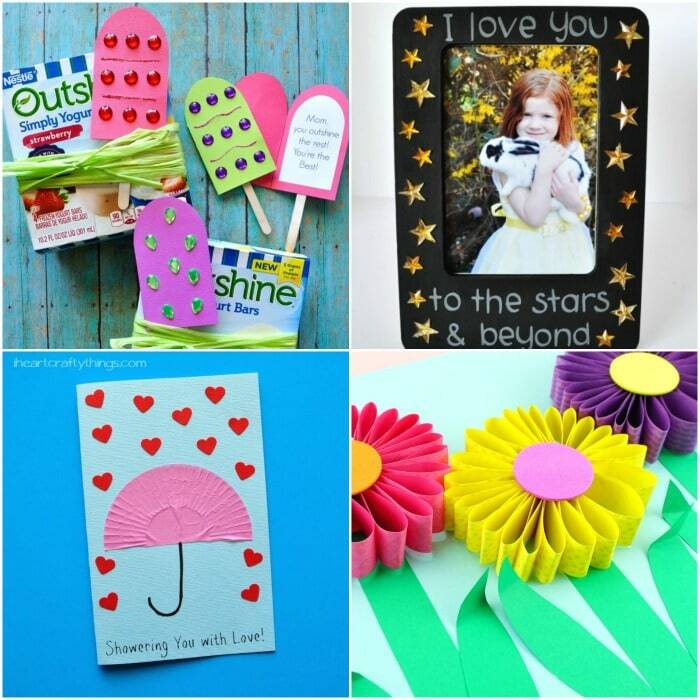 Check out these 25 of our favorite gifts for mom that are easy for kids of all ages to create. 1. Flower Pots Mother’s Day Craft -This gorgeous flower pot card is a new favorite this year! You can customize the flowers any way you want on this card. You can even recycle an egg carton into flowers and glue them on the ends of the popsicle sticks. 2. Superhero Mother’s Day Craft -Decorate Mom’s favorite chocolate bar into a super hero that looks just like her! 3. 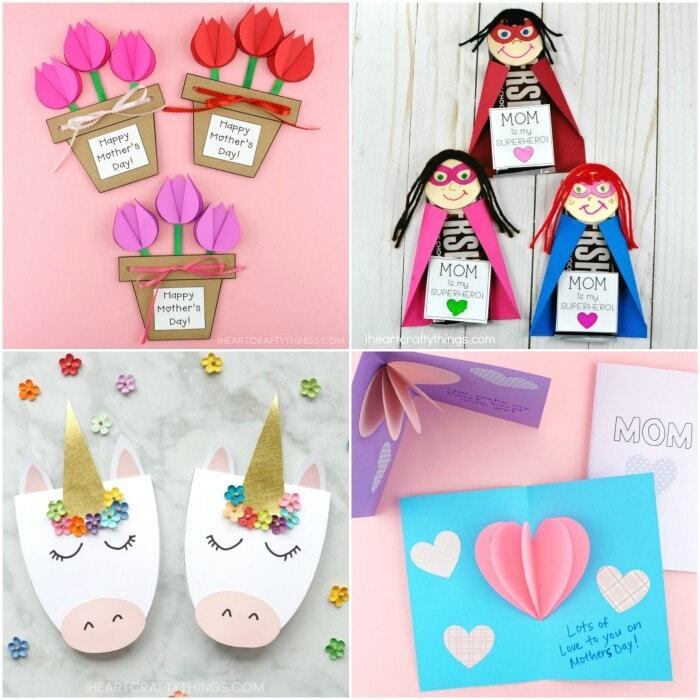 Simple DIY Unicorn Cards -These cards are super simple to make and will make Mom feel extra magical. 4. 3D Heart Mother’s Day Card -Moms heart will “burst with joy” when she opens up this pop out heart card. 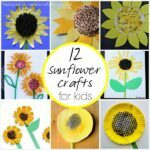 5- Flower Bouquet Craft -These paper doily flowers won’t wither after a few days, making them a favorite gift for mom and grandma. 6- Easy Pop Up Flower Card -Our handy free printable template makes creating this Mother’s Day pop up card a breeze! 7- Handprint Heart Tree Craft -Handprint crafts are always a favorite keepsake craft for Mother’s Day. 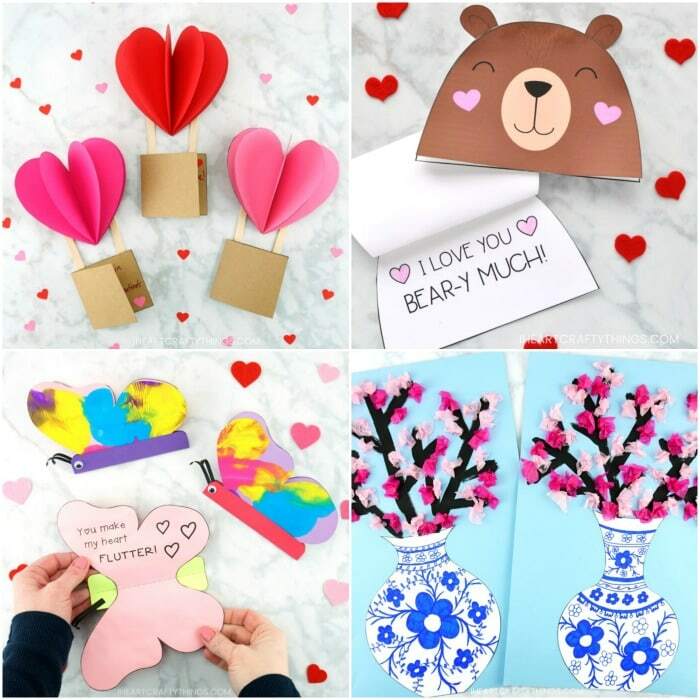 The 3D effect of these paper hearts make this craft a stunning Mother’s Day gift. 8- You are My Sunshine Card -This adorable sun card will give Grandma the biggest smile. 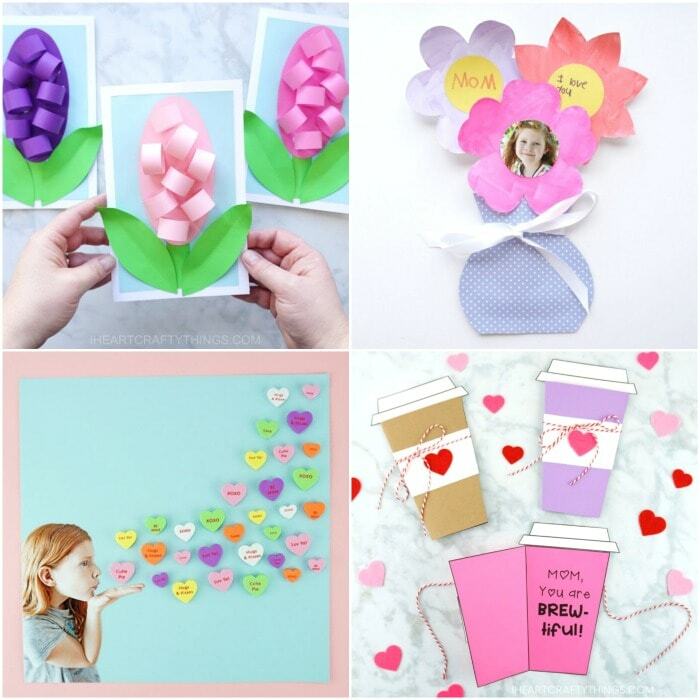 It’s a super simple Mother’s day crafts for preschoolers. 9- Hyacinth Flowers Paper Card -Paper circles help create a lovely 3D effect on this paper flower card. 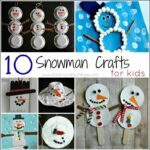 Super easy even for preschoolers to make for mom. 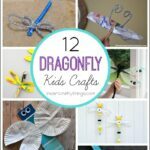 10- Photo Keepsake Flower Bouquet Craft -These photo flowers are an easy craft for Mother’s Day that will be cherished forever. 11- Blowing Hearts Craft for Kids -It doesn’t get any more cute that this personalized craft of a child blowing kisses to mom or grandma. 12- Mother’s Day Coffee Cup Card -Add a gift card from Mom’s favorite coffee shop on the inside of this coffee card for an easy Mother’s Day gift. 13- Easy Cupcake Liners Flower Card -All you need is colorful cupcake liners, buttons and crayons to create this simple Mother’s Day card idea. 14- Paper Cactus Card for Mom -The heart prickles and cute little smile on this cactus card are sure to give mom the warm and fuzzies. 15- Adorable Llama Card -Is your mom “llamazing” or do you “llove her llots?” Show her my making her an adorable llama card this year. 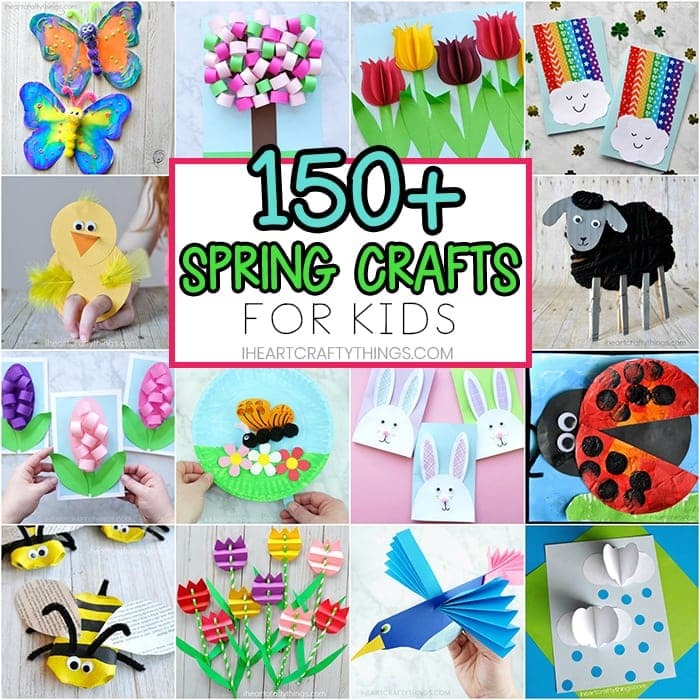 16- 3D Paper Tulips Craft -Tulips are always a favorite spring flower. Mom and grandma will love receiving a set of colorful 3D tulips for Mother’s Day. 17- 3D Heart Air Balloon Card -Make mom or grandma’s heart soar with one of these gorgeous hot air balloon cards. 18- I Love you Bear-y Much Card -It doesn’t get any more simple that this beary cute Mother’s Day card. This sweet card is great for toddlers and preschoolers to make for mom. 19- Paint Smush Butterfly Card for Mom -This fun paint smush art activity is fun for kids and creates beautiful butterfly wings for this darling butterfly card. 20- Cherry Blossom Art Project -Does your mom love seeing blossoming cherry trees every spring because if she does, she will adore this beautiful tissue paper flower blossoms art project for a Mother’s Day gift. 21- Popsicle Mother’s Day Card Idea -Turn some popsicle sticks into colorful popsicle cards and attach them to a sweet treat for mom. 22- DIY Mother’s Day Photo Frame -Here’s a simple way to decorate an unpainted wooden photo frame into a sweet Mother’s Day gift. 23- Showering you with Love Mother’s Day Card – Another simple card idea using cupcake liners for little ones to create. 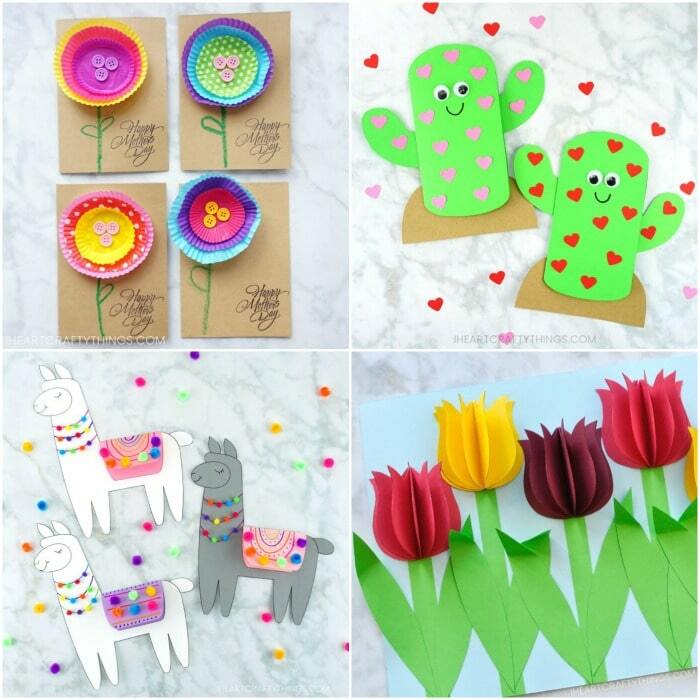 24- 3D Paper Flower Craft Idea -Add one of these colorful paper flowers to the front of a folded piece of cardstock for a quick and easy Mothers Day card. 25- Wooden Spoon Flower Bouquet Craft -Have some mason jars laying around the house? Turn them into a pretty flower bouquet for mom. 26- Salt Dough Handprint Bowl– Grandma and mom will love keeping this cute dish on their dresser or nightstand to keep track of their treasures. « Build your own Pokemon Easter Basket -Gamestop is your one-stop shop for Easter!